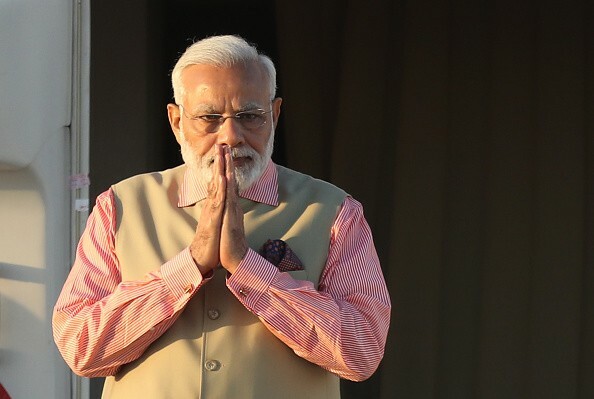 PRIME minister Narendra Modi has been honoured with Russia’s highest state decoration, the Order of St Andrew the Apostle, for his role in promoting deeper cooperation between India and Russia. The Russian government said Modi was conferred with the highest state decoration of Russia for “exceptional services” in promoting special and privileged strategic partnership between Russia and India. In a statement, it said President Vladimir Putin signed an executive order conferring the award on Modi. The External Affairs Ministry said the prime minister has been conferred the highest civilian award of Russia through a Presidential decree. “India greatly appreciates this honour bestowed upon the Prime Minister by the President of the Russian Federation,” the MEA said. “The award signifies the special and enduring strategic partnership between India and Russia marked by exceptional warmth and friendship extending to our peoples,” it added. On Twitter, Modi said he was honoured to receive the prestigious award and thanked President Putin and the people of Russia. Foundations of India-Russia friendship are deep and the future of the partnership was bright, he said, adding extensive cooperation between the two countries has led to “extraordinary outcomes for our citizens”. “President Putin remains a source of great strength for the India-Russia friendship. Under his visionary leadership, bilateral and multilateral cooperation between our nations has scaled new heights,” Modi tweeted.